Among the advertisers on the Golf Channel broadcast of the current LPGA Tour event is the Duluth Trading Company, which is promoting its Ballroom Jeans. 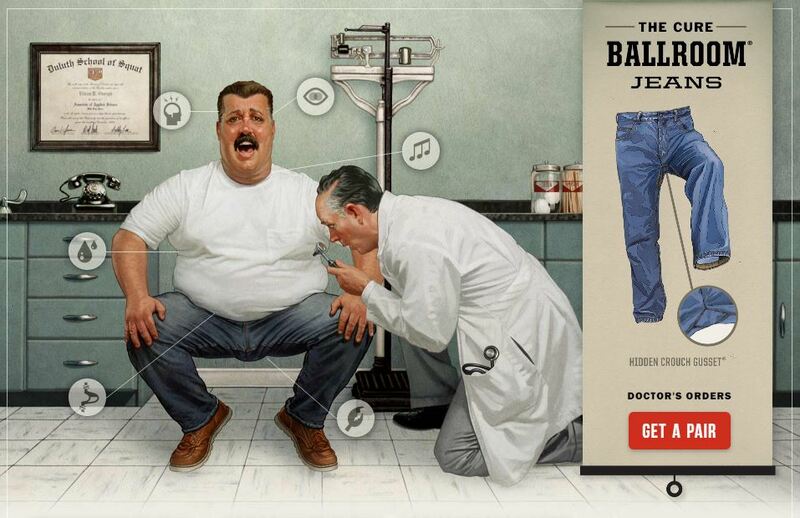 Those aren’t jeans that are nice enough to waltz in; they’re jeans that have extra room for your balls. A women’s sports event may seem like an odd place to advertise a product intended for overweight middle-aged men—but keep in mind that the main viewing audience for LPGA Tour events is overweight middle-aged men. This entry was posted in Accessories, Television, Tournaments and tagged Duluth Trading Company, LPGA Tour by David Owen. Bookmark the permalink.